We have our winner for the Red Velvet and Pumpkin Spice gourmet coffee from Josh at NY Gourmet Coffee. Congrats to our winner, and be sure to visit Josh's website for some amazing flavored and non-flavored coffee. Please be sure to "like" his facebook page as well HERE. I have not received any monetary compensation for posting this content and I have no material connection to the brands, topics and/or products that are mentioned herein. I received the flavored coffee listed above to sample for my opinion to be given to my readers. 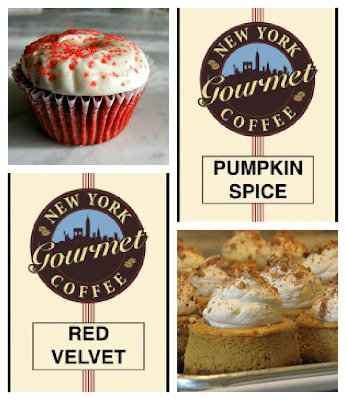 NY Gourmet Coffee will be providing this giveaway to the winner. My opinions are 100% my own.